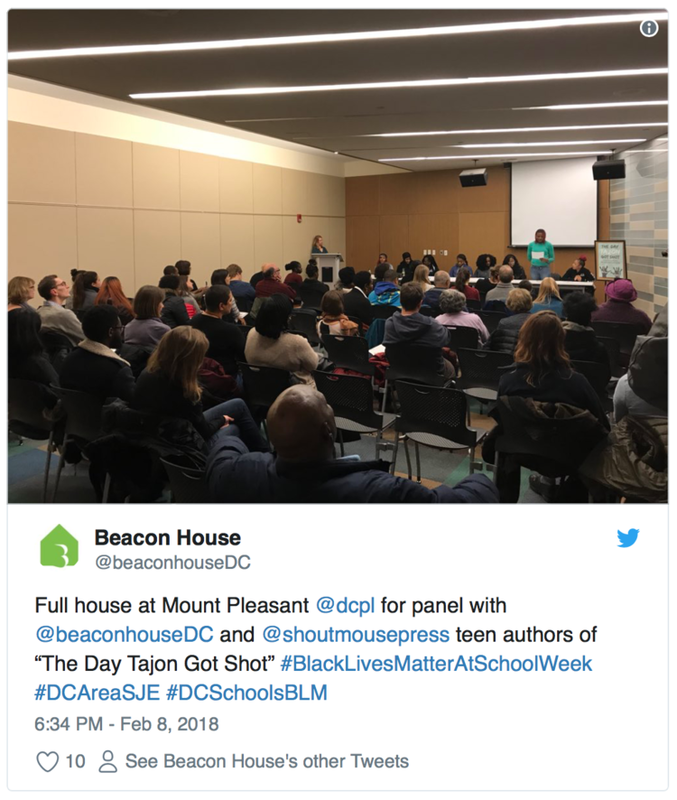 Inspired by the Black Lives Matter Movement, the Teen Writers of The Beacon House, a community-based organization in Northeast Washington, D.C. wrote The Day Tajon Got Shot. The book tells the story of a teen killed in a police shooting from multiple perspectives, challenging the reader to gain knowledge from the whole picture. The young authors presented at Mt. Pleasant Library.